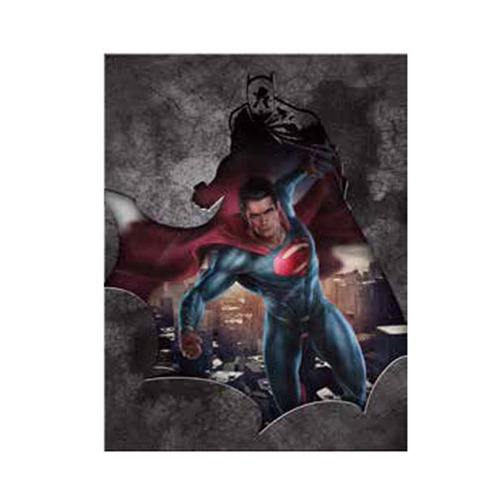 Decorate your home or office with art based on the epic battle between Batman and Superman! This dramatic piece features the Man of Steel peering through a reverse silhouette of the Dark Knight. The Batman v Superman: Dawn of Justice Canvas Art measures approximately 12-inches x 16-inches. Ages 13 and up.